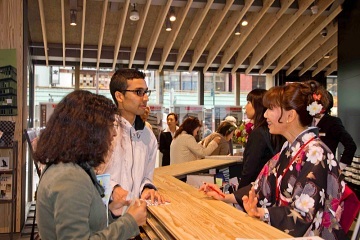 TOKYO SGG CLUB offers tourist information and literature for free at TOKYO SGG CLUB information desks listed below. 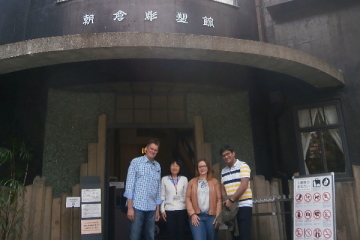 (A) Free English guidance is available at the Shitamachi Museum near Shinobazu Pond in Ueno Park from 10:00 a.m. to 4:30 p.m. on days when the museum is open. (B) Free English guidance is available at ASAKURA Museum of Sculpture in Yanaka from 10:00 a.m. to 4:00 p.m. on days when the museum is open. Foreign tourists and visitors may join free guided walking tours of the following areas. The number of participants may be limited on a first-come-first-served basis. The tour may be cancelled without prior notice. An approx. 90-minute guided walking tour of Asakusa Kannon Temple and its neighborhood on every Monday, Thursday, Saturday and Sunday. The tour departs twice a day at 10:30 am and 13:15 pm. To participate, please come to Asakusa Culture Tourist Information Center 10 minutes before each scheduled starting time. An approx. 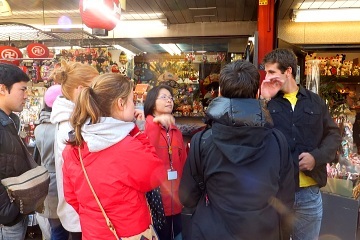 90-minute guided walking tour of the Ueno Park area on every Wednesday, Friday, Saturday and Sunday. The tour departs twice a day at 10:30 a.m. and 1:30 p.m. To participate, please come to the place indicated on the map 10 minutes before each scheduled starting time. An approx. 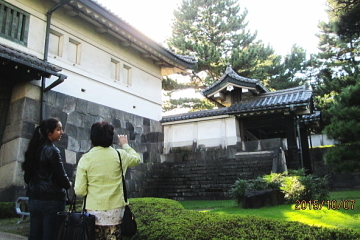 two-hour guided walking tour of the Imperial Palace East Gardens area on every Tuesday, Wednesday, Thursday, Saturday and Sunday. The tour departs once a day at 1:00 p.m.To participate, please come to JNTO TIC 10 minutes before scheduled starting time. An approx. 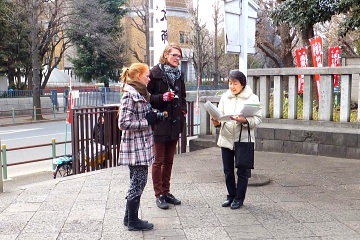 90-minute guided walking tour of Yanaka area on every Saturday and Sunday. 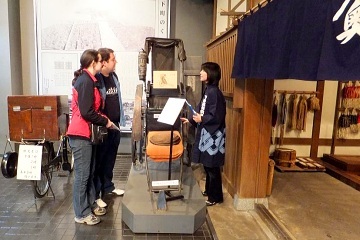 The tour departs at 10:30 a.m. and 1:30 p.m. To participate, please come to the arbor in the front yard of ASAKURA Museum of Sculpture 10 minutes before scheduled starting time. All service is free except for transportation expenses of guides.